Harvesting fresh potatoes for christmas is the latest fun project in the grow your own world. Planting potatoes in late July and allowing them to die off in November before you dig them up near Christmas has been a great development in the world of potato growing. Sold in 1kg bags. We have limited stocks and expect them all to go fast! Page 1 of 1: 8 Products in Total. 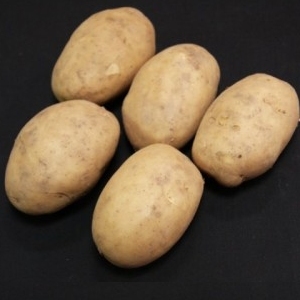 This is our preferred method as it allows more flexibility in how you grow your potatoes. We recommend buying some good general purpose compost and some potato planter bags, however any light-fast bag or container will do. 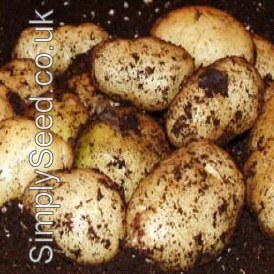 You will also need a good source of fertilizer and 3/4 seed potatoes for each bag. I would recommend that you add 16oz of your fertilizer to 100litres of compost. 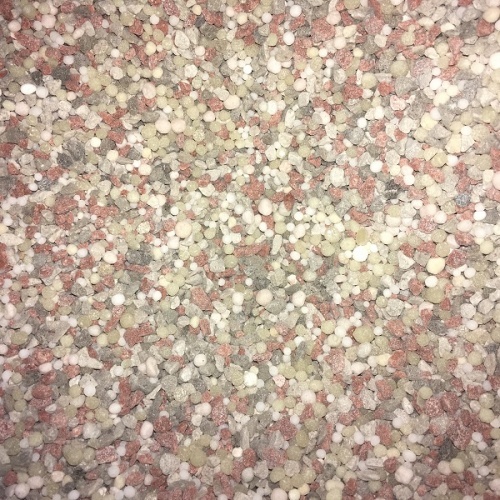 Use this as your growing medium and always top up with the same mixture. 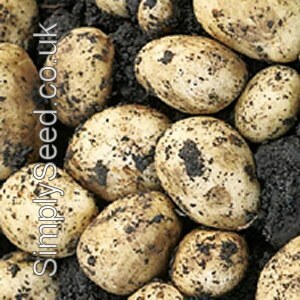 Place a 3inch layer of your growing medium into the bottom of the potato planter and gently push your desired number of seed potatoes into the mixture about 1inch. Add another 3inches on top and gently water the bag as it will be really warm hopefully during the summer time. Once the shoots are 2-3inches through that layer again gently water the compost and then add another 3inches of your growing medium on top before giving that layer some more water. Repeat this process until you reach the top of the bag. The aim is to keep the growing medium moist at all times without the mixture becoming compacted and waterlogged. Over watering will result in the leaves turning yellow so at this point you should stop watering until the leaves go green again. 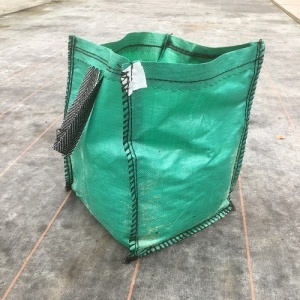 Once your bag is full of compost I would add a garden cane to each side of the bag where the handles are as this will allow you to give the haulms more support with some string. If blight is forecast or there is a chance of frost then you can easily move the bags undercover. That is the beauty of growing in the bag. 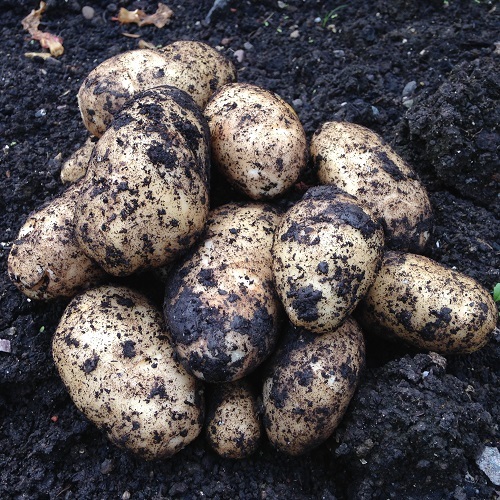 A top tip is to never water the haulms of the potato plant and only water the potatoes from the top of the bag. Later in the year you will see that the haulms have died and you can cut off any excess foliage. 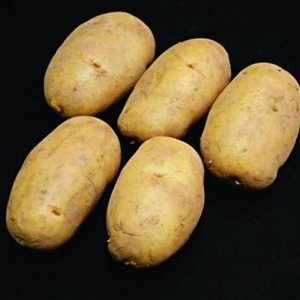 Your potatoes will not grow any larger now that the foliage is dead so you can stop watering them and just leave them in the bag until you wish to harvest them. Hopefully, this short guide will help you all achieve a successful crop for you to enjoy on Christmas day.